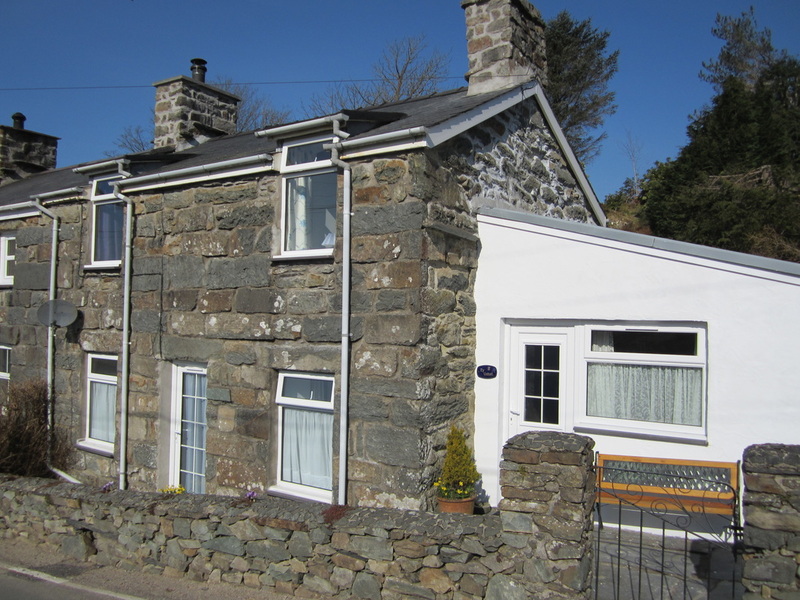 Ty Uchaf is a cosy, charming stone cottage located in the small hamlet of Rhyd, about 5 miles from Porthmadog, and 7 miles from Beddgelert in the heart of the Snowdonia National Park. Rhyd is in the lovely Vale of Ffestiniog, nestling just below the peak of Moelwyn Bach mountain, as shown in our header photograph on this page. The cottage is ideally located to access both the mountain and coastal attractions of North Wales, including the beautiful Llyn Peninsula. The cottage sleeps up to four guests in two bedrooms, and has undergone much recent refurbishment and renovation. It is well equipped, with satellite TV/DVD, WiFi internet access with a log burner and music centre in the lounge- perfect for chilly evenings ! 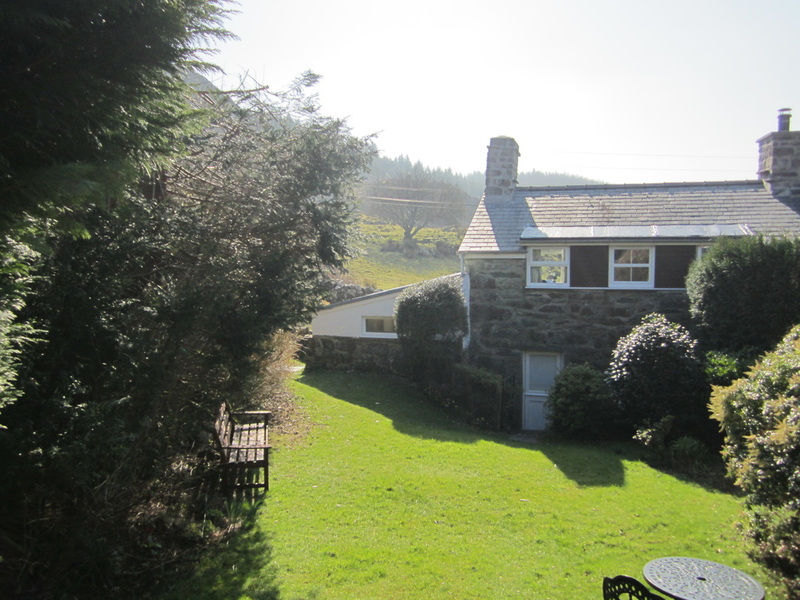 Hill and forest walks are available from the front door of the cottage, and the world-famous Ffestiniog steam railway runs only 3/4 mile from the cottage. One pet dog is allowed in the cottage by prior arrangement.